Michelle Obama’s mother – Marian Robinson – wasn’t about to let the former FLOTUS’ spotlight appearance at the Grammy’s go to her head with a distinctly off-hand series of texts suggesting the ‘real stars’ weren’t her daughter. 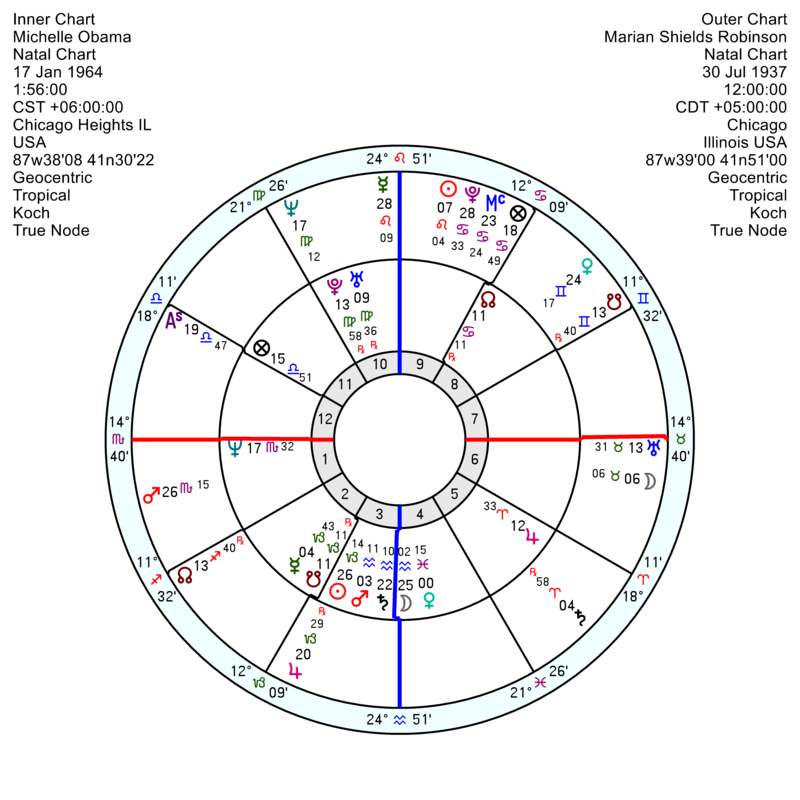 Born 30 July 1937 in Chicago, she’s a tough cookie with a formidable and unyielding Mars in Scorpio trine Pluto trine Saturn in forced-to-be-self-reliant Aries; and her Pluto in a confident opposition to Jupiter. Her Leo Sun squares a Taurus Moon and Uranus – making her independent-minded and stubborn. 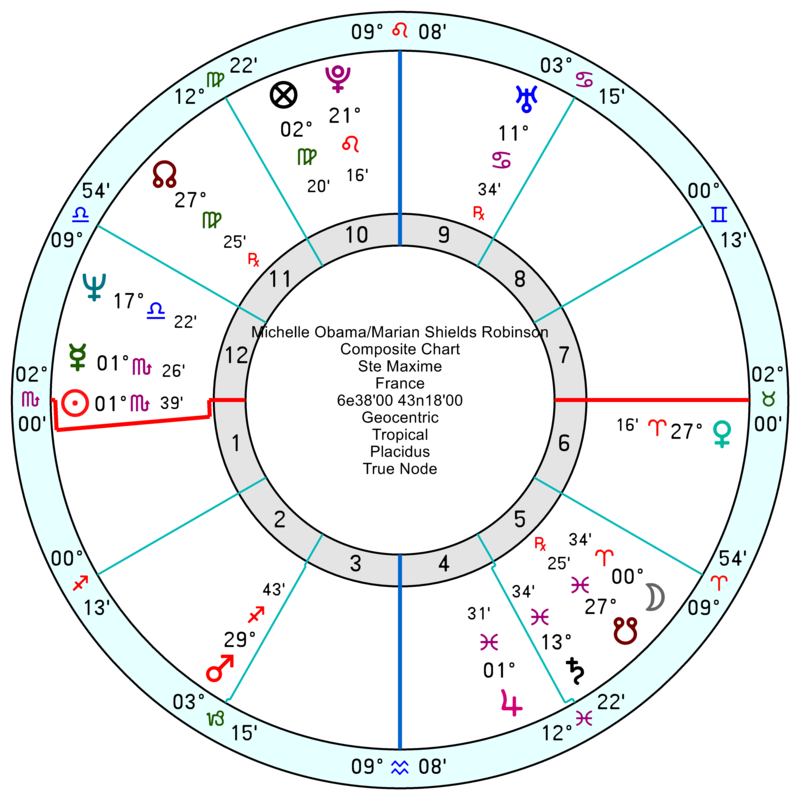 It’s not the easiest relationship with Michelle since her Leo Sun opposes Michelle’s Mars; and her Pluto opposes Michelle’s Sun; with her Mars square Michelle’s Saturn in Aquarius. Lots of gritty edges in there and power struggles. Mercifully their relationship chart does have a mutually supportive composite Sun Mercury trine Jupiter which will help to smooth out a few wrinkles. There’s a Grand Trine of Venus trine Mars trine Pluto which will mean when they co-operate they make fast progress, though again there’ll be moments of tension as well as affection. 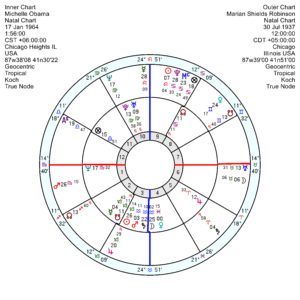 Marian’s ultra-determined Mars in Scorpio is conjunct Barack’s midheaven which will have led either to competitive arguments or she’ll have breathed more ambition into him. She won’t always have taken kindly to his freedom-loving streak since her Mars square his 7th house Uranus. 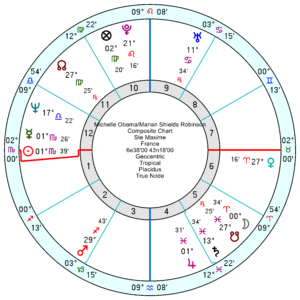 Her Pluto opposition Jupiter connects with his Saturn in Capricorn Jupiter in Aquarius conjunction – so she arguably did further his idealistic vision. Not a lady to be overlooked. 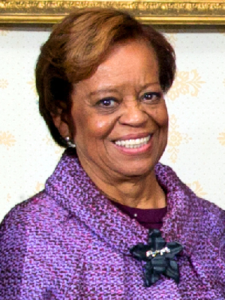 She was vital in enabling Barack’s political career, to begin with. One must remember Obamas were young, working parents when he first started campaigning for a National Seat (and I think Sasha wasn’t even born yet). They could not have done it without Marian’s help, since Barack’s family was already all but gone. She also was with them in Washington. I don’t think she wouldn’t have, if she hadn’t believed firmly in what her “goofy” son-in-law was doing.